Recruiting leaders have a series of tasks, lying above their shoulders. They are not just held responsible for finding the right candidates for enterprises, but are even the path of building successful career for the aspirants. Therefore, without a proper way, it becomes hard for them to create a connection between the employers and aspiring candidates. Some simple yet effective recruitment topics can work wonder for such recruiting leaders. And it is mandatory for them to follow the points proficiently. 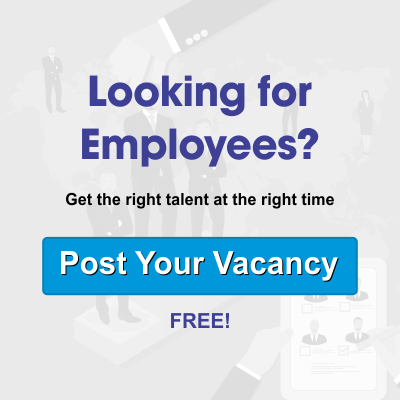 There are few simple yet effective points available, which can help you to choose the best candidates for prospective firms. And these are less time consuming. If you are new in this recruitment industry, then start by working on these points from the first time. Unfortunately, maximum global firms are hooked up with the decentralized recruitment procedure. It might prove to be good, but not that innovative to be precise. Therefore, now is the time, when you have to shift your working sector from decentralized to the centralized functionalities. It is quite essential for referrals, branding and even for creating powerful metrics. Moreover, centralized recruitment often helps sharing candidates between the business units. Even though you fully believe in manual power, but sometimes, technical substitutes can work in brilliant manners. It is time for both recruiting and HR departments to expand their current working perspectives and enhance wide range of robotics and software infusion within the system. That will speed up the entire procedure, and help you to serve more people, at the same time. Such kinds of tasks are only dedicated for the internal members of the recruitment firms. And some improved internal movements can go a long way in motivating, developing and increasing retention. Equally qualified candidates must be your first hand priority, while searching for any particular company. But sometimes, it is better to move for the external recruits, too, if the internet team cannot function accordingly. Just to reach out to massive number of people and invite modern technology, it is mandatory for you to opt for the video interviews. It might not always be considered as the advanced approach but can help you to avoid candidates’ excuses of not showing up for the interview. This procedure further helps in increasing the hiring speed and even work on the quality of interview, too. And it further helps in reducing the entire traveling costs to a great extent. It is a common mistake to rely on interview, resumes and reference checking, while choosing a candidate. It is time for the recruitment agencies to follow the new version of assessment, through online assessment services. Here, the simulations will grow in effectiveness and leaders need to add these to their present assessment approaches. You cannot choose a candidate with a resume, which is too old to count. Always ring the aspirants with up to date resumes, as you never want to miss out on their previous experiences. And it is only through an updates sheet, that you will come to know more about it. And the same rule is applicable while working on employer branding. It is time for you to cross-check the resumes of candidates to avoid a miss. For that, you have to make your investigation instincts alive, and start checking the information provided, thoroughly. If you are dealing with an experienced candidate, then reputed agencies will take some more time to call up previous agencies to learn about the well-being of the candidate. And for the fresher, it is mandatory to check their provide marks and experiences with results, before proceeding further with the recruitment tasks. The points, mentioned above, are enough to highlight some of the smart recruitment topics. However, you can work for an extra edge and replace predictive analytics with the historical metrics, too. Those days are long gone when you are flooded with records of last year. It is time to shift your work from last year to real time metrics. These are likely to function a long way for attracting more people towards your recruitment agency.